In 1531, Our Lady of Guadalupe appeared in Mexico as the pregnant Mother of God to a humble peasant named Juan Diego (now Saint Juan Diego). She left a Miraculous Image of her appearance on his tilma (cloak), which still exists today for all to see in the Basilica of Our Lady of Guadalupe in Mexico City. 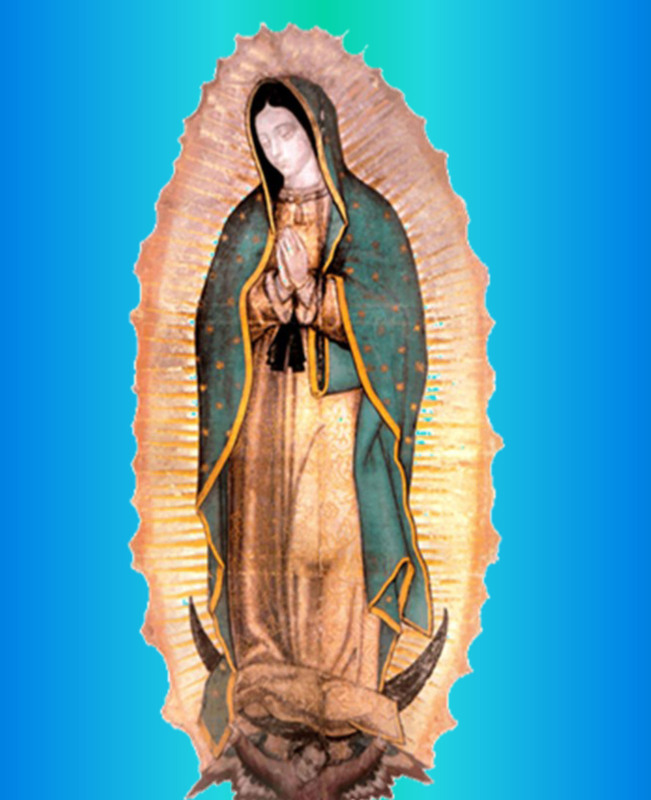 Saint John Paul II authorised the creation of 220 digital replicas of this blessed original image of Our Lady of Guadalupe for worldwide distribution. 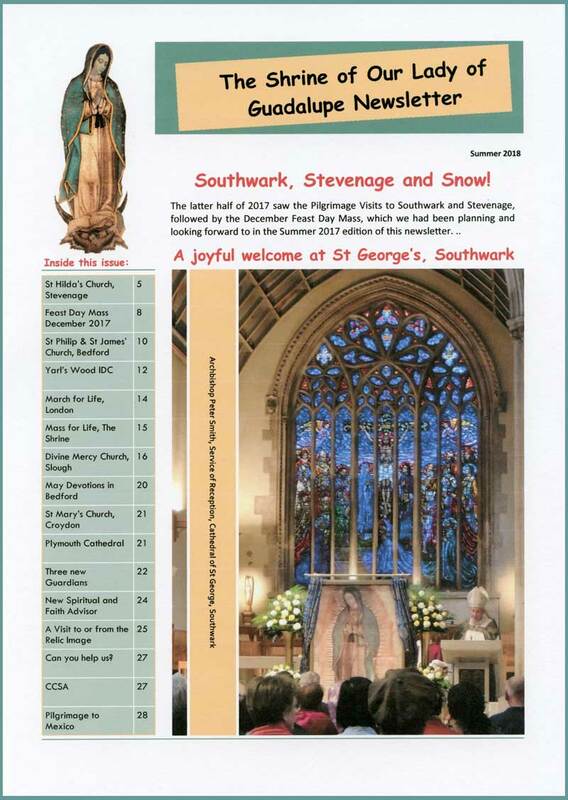 These consecrated images have been declared as Authorised Relics that extend the graces of evangelisation, conversion and truth to those nations which receive them; the same graces as extended in 1531. 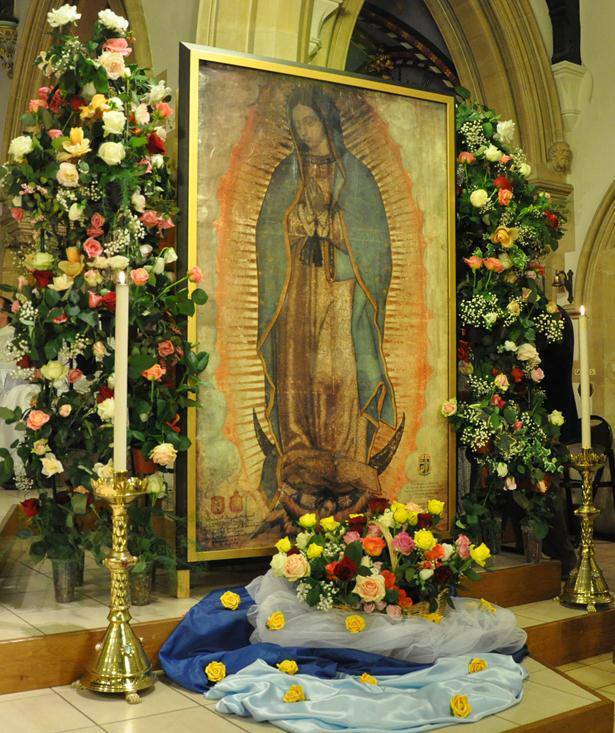 The replica image in the Church of the Holy Child & St Joseph in Bedford, England is known as the Miraculous Relic Image of Our Lady of Guadalupe.